Lasers have revolutionized multiple industries, and oral care is no exception. Although laser gum treatment is still in its infancy – and not yet considered a proven method of treatment by the American Academy of Periodontology (AAP) – it shows promising results for eligible patients. Alternatively, the periodontist may perform gum flap surgery, which, as explained by the NIDCR, surgically the gum tissue is cut and flapped back to allow deep cleaning around the roots underneath. The gum tissue is then sutured back into place to heal. In periodontal laser therapy, the provider uses a dental laser to access and remove the inflamed gum tissue from around the root of the tooth. When the infected tissue is removed and the root is exposed, the root scaling begins. This involves scraping off the calculus and plaque built up below the gumline and around the root. The dentist then smooths the root with instruments to remove any rough spots that might attract bacteria and cause future infections. The area between the gum and the root can then regenerate during the healing process. Bleeding, pain and swelling are limited because periodontal laser gum treatment is less invasive than regular surgery. Some medical authorities don’t yet support the use of this therapy. However, the AAP, suggests there is insufficient evidence that any particular laser’s wavelength is better than traditional treatment. This doesn’t mean the AAP is against the practice, but you should still play it safe until more professional associations approve this practice – particularly with regard to the restoration of tissue after therapy. Nevertheless, there are some risks to the use of laser periodontal therapy. One of these is the fact that you’re a human being; if your dental professional uses an inappropriate wavelength or power level, it could cause further damage to the periodontal tissue. There is also concern among providers that advertising hype is attributing more to this therapy than it should. 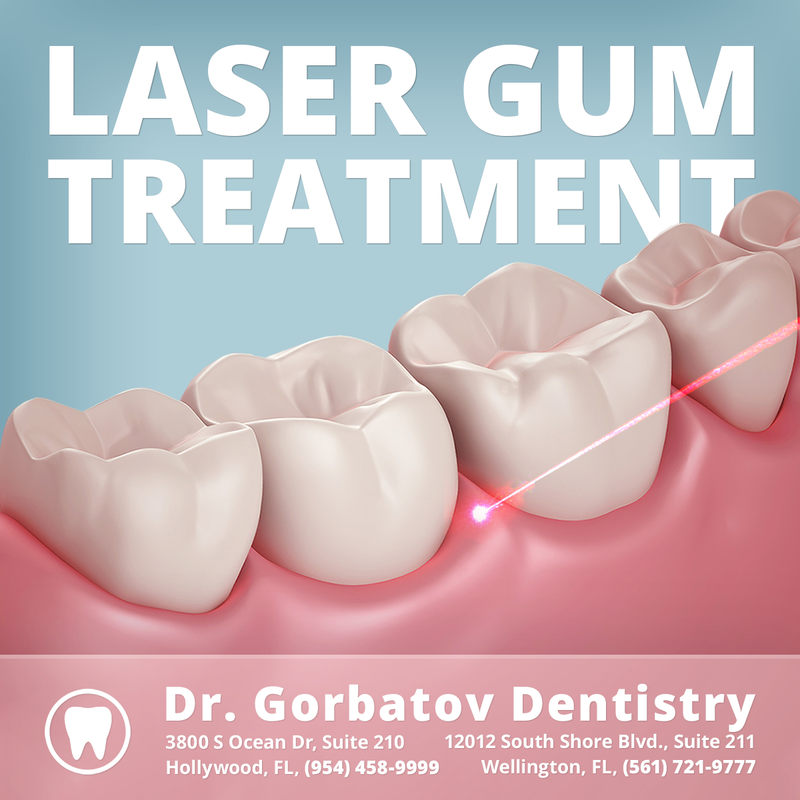 The cost of laser gum treatment depends entirely on the extent of the patient’s needs, and your dental professional typically won’t commit to a price until he has had the chance to examine you. It can be less expensive than traditional surgery, however, because it requires fewer visits to the dentist and less medication, according to Paul Downing Dentistry. In terms of insurance, healthcare policies typically reimburse you for the treatment you get – regardless of the type of device used to perform it. So whether your dental professional uses traditional methods or lasers for treating you, the compensation is likely to be the same for the procedure. It’s best to get confirmation from your insurance company before you have the therapy, so you know what’s covered in your policy. Maintaining a good oral hygiene program after you undergo any type of periodontal therapy is critical to avoiding a recurrence of the inflammation. Brush your teeth daily and rinse regularly with an antimicrobial product, which offers prescription-strength healing for irritated gums. Avoid or stop smoking to reduce the risk of future infections, and follow any specific instructions from your dentist or dental specialist as closely as possible.